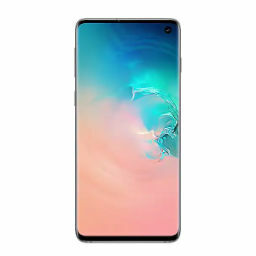 Although the upcoming Samsung Galaxy S10 is rumored to come with an Infinity-O screen, which is basically a display that would employ the HIAA (Hole in Active Area) laser drilling technology, the hefty price tag means that it would be inaccessible for many. Fortunately, a cheaper alternative to the Galaxy S10 with the same display camera hole is in the works too and it is called the Galaxy A8s. The rumored specifications of the smartphone have sprung up and from the looks of things, it is going to be a tad bit slower than Snapdragon 845-powered flagships. Coming to the rumored specifications of the Galaxy A8s, the device will reportedly have a 6.39-inch Infinity-O display, but it would be a BOE-manufactured LCD panel, not an OLED panel. This is surprising, as even Samsung’s recent entry-level devices sport OLED panels. The camera hole would apparently be 6.7mm in diameter and it would be drilled in the upper-left corner of the display. The strange thing about this rumor is that LCD panels will leave considerably more bezels at the edges, seeing as how Apple was limited with the display technology when it launched the iPhone XR. The display is expected to have rounded corners. Moving on, the phone is expected to come with a non-removable 3,400mAh battery and it will also have a Type-C port. The Galaxy A8s will be underpinned by the 10nm FinFET Snapdragon 710 SoC. Supplementing the performance of the SoC is 6GB of RAM and 128GB of internal memory. Just like the Galaxy A7 (2018), the powerful mid-ranger is expected to have a triple camera setup at the back (24 + 5 + 10MP) and a 24MP camera on the front. The phone will reportedly measure 159.11 x 74.8 x 7.38mm and it might even feature an iridescent design. Going by the rumor, the Galaxy A8s will also sport a metal and glass combination of materials, but it not confirmed if the smartphone will provide support for Qi wireless charging. The handset was first teased by Samsung during a press conference when it revealed the inclusion of the display camera hole. The phone will allegedly have a rear-mounted fingerprint scanner as well and might even have a really thin bottom bezel. All the physical keys would presumably be on the right-hand side of the device. In terms of hardware, the Galaxy A8s certainly looks like a capable handset that will cement its position in the upper-performance spectrum of mid-range devices. 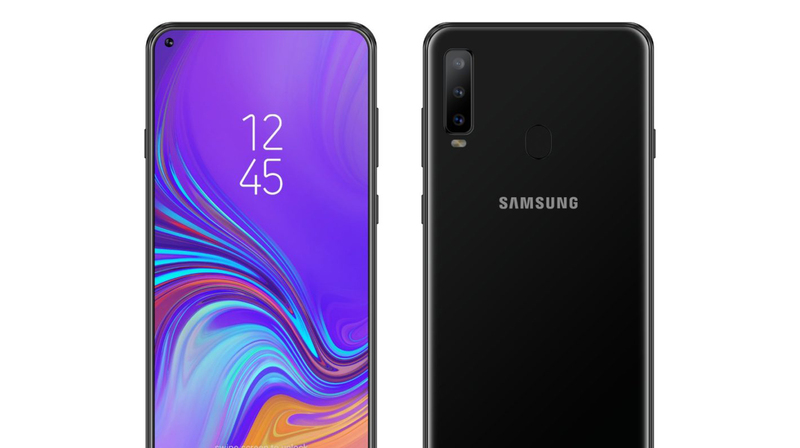 The design also foreshadows what the upcoming Galaxy S10 and Galaxy S10 Plus could look like, and we’d like to know your thoughts down in the comments on what you think about the Galaxy A8s.